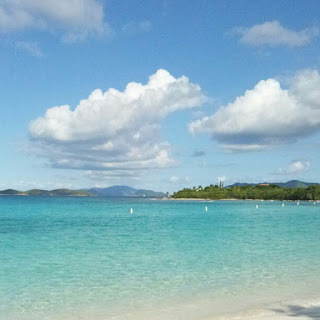 So if you follow me on Instagram you'd know that I love the beach. One of my favorite things to do at the beach is sun bathing, I really enjoy feeling the rays on my slightly damp skin. Twitter has released its second transparency report, which demonstrated a frightening increase in requests for user data by the US government and ignited serious concerns over privacy and free expression. ­The list disclosed data requests from over 30 nations, and revealed that the US government was responsible for 815 of the 1,009 information requests in the second half of 2012 – just over 80 percent of all inquiries. Twenty percent of all US requests were 'under seal,' meaning that users were not notified that their information was accessed. The overall number of requests worldwide also steadily increased last year, rising from 849 in the January to June 2012 period to 1009 in the July to December 2012 period. As the U.S. agriculture industry now stands, antibiotics, pesticides, genetically engineered ingredients, hormones and countless drugs are fair game for inclusion in your food. So if you purchase your food from a typical supermarket, you’re taking the chance that your food is teeming with chemicals and drugs — even those that have been banned in other countries due to adverse health effects. So please do your health a favor and support the small family farms in your area. You’ll receive nutritious food from a source that you can trust, and you’ll be supporting the honest work of a real family farm. Russia has recently banned U.S. meat supplies after discovering it contains ractopamine—a beta agonist drug that increases protein synthesis, thereby making the animal more muscular. This reduces the fat content of the meat. Ractopamine is known to affect the human cardiovascular system, may cause food poisoning, and is thought to be responsible for hyperactivity, muscle breakdown, and increased death and disability in livestock. As much as 20 percent of ractopamine remains in the meat you buy from the supermarket. Despite potential health risks, the drug is used in 45 percent of U.S. pigs, 30 percent of ration-fed cattle, and an unknown percentage of turkeys. I just can't get enough of this album. I like this remix. Really... half a million dollars to create GMO swine... I love the direction this nation is heading...SIKE! 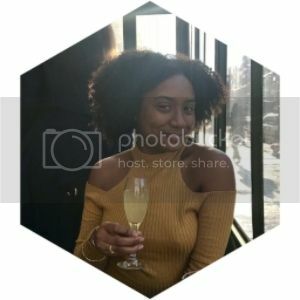 Concern about the ingredients in your favorite cosmetic lines. Day 6- The day went well my usually cup of Yogi Detox tea in the morning along with a bowl of fruit. The sore throat feeling was gone that afternoon. I can notice the amount of energy I have, come night time I am extremely active. I spent a few hours cleaning my room and packing for my flight on Saturday. Day 7- Woke up feeling like a champion because I know I've completed my goal. At the beginning of this Raw Food Cleanse I didn't think it was possible but now that Day 7 is here I feel as if I could of went for 2 weeks. Which will be the goal for my next cleanse in the near future. This morning I went to Fit2Run (which by the way is a great fitness shop with a juice bar located in International Mall, Tampa Fl) and requested an off the menu smoothie no protein powders, no yogurt, no milk all fruit. It was delicious as expected. Also, ordered a shot of organic wheat-grass! The benefits of wheat-grass are amazing I try to have a shot anytime possible. This past Thursday I stopped by a health food store and picked up a few healthy snacks. 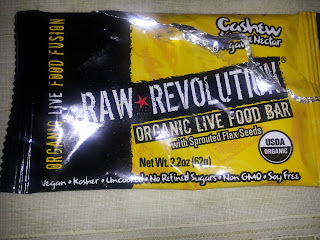 These Raw Revolution bars were pretty sweet and delicious. I suggest only eating half of one bar being that it is almost too sweet. Day 1 Thursday - I felt as if it were a normally day I did increased my usual water intake. 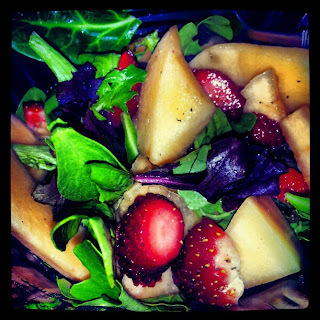 Day 2 Friday - The cravings begin! I craved for cooked food in particular french fries and wings. I went out with my friends later that night and I found it difficult to not order my usually glass of red wine. Instead I ordered water and grapefruit juice. After a long night of dancing with my girls, my friends stopped by a 24-hour Wal-Mart and I picked up some pineapple to snack on. Day 3 Saturday - I spent the day with my mother doing errands which consisted of stopping by a hibachi grill restaurant and ordering take-out. I began to feel weak just standing inside the restaurant smelling the aroma of cooked food. I ended up having to walk out because the aroma of the food was driving me nuts lol. While waiting in the car my actions were justified because I witnessed a total of 8 obese people leaving the restaurant. No bueno! 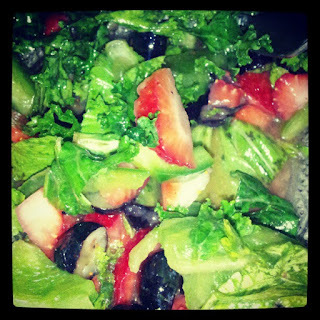 So I began my cleanse Thursday the 3rd, exactly at 12:01 am I was in the kitchen whipping up an awesome salad. My best friend whose name will not be mentioned (lol) said she was going to do the cleanse with me. She later changed her mind about the Raw Food Cleanse. And asked me if I've heard of Herbalife? I am not too sure about the Herbalife brand I will follow up on it. I never been a fan of taking supplements, or drinking protein shakes. 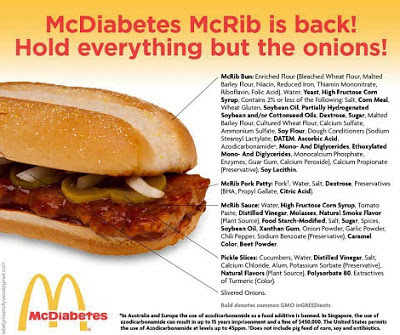 Many of similar products use artificial flavorings and sweeteners which is everything I try to avoid adding in my diet. 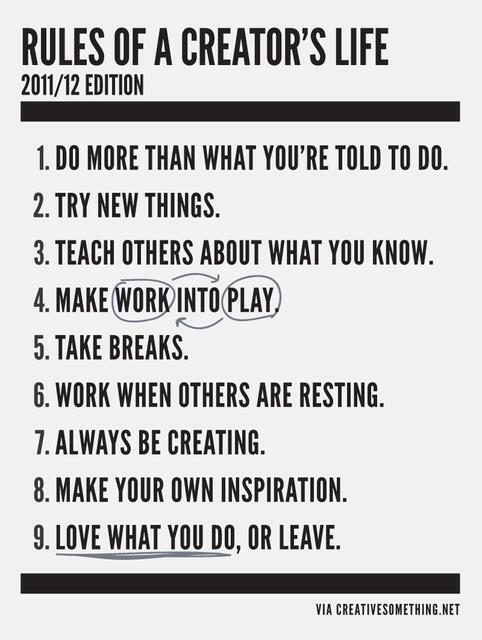 Found a great book I'd like to share with everybody. 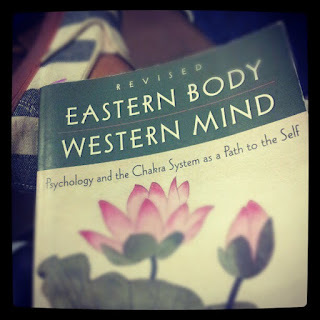 I recently started reading Eastern Body, Western Mind by Anodea Judith. A very good read...one of the best self help book I've read to date. 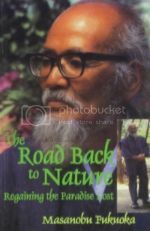 This book is an easy read if you have no prior knowledge about the Chakra System you will gain an understanding within the first chapter. This Raw Food Cleanse is way harder than I expected. I am so tempted to eat everything but fruits and vegetables. But I am officially starting my cleanse midnight. 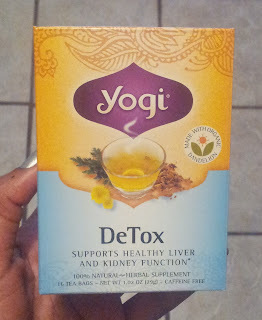 Throughout the day I will be drinking my detox tea from Yogi.